With Majical Cloudz's Devon Welsh going solo, we receive the depth of his introspections as if they were cannonballs on Dream Songs. For Devon Welsh, a funereal gray sound doesn't necessarily imply a loss of hope. 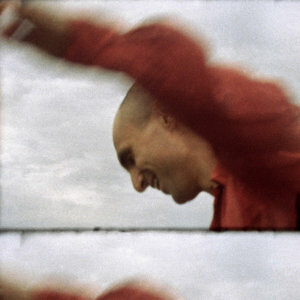 Through the Montreal artist's catalogue — his work in Majical Cloudz and now on Dream Songs — the low strings and solemn keys blanket each introspective experience and fantasy. There is a feeling of nostalgia whenever the instrumentation coordinates with not only the lyrics but the power of Welsh's voice. It conjures images of blurry Polaroid shots and dreams that make one feel invincible, even without electronic backing. This significant change is not a challenge for the singer: he can play "Downtown" sans Matthew Otto's mixing, and it would still sound amazing. Being a solo performer can make one recognize more, with growth being less in the instrumentation and more in the understanding of the self. It would be simple to say that Welsh already understands himself, given how open he is talking about his hopes and dreams. However, the complexity arrives in realizing that he becomes more alone in this work. There is that difference of being alone when someone else is there and plain being alone. Welsh is an expert in dissecting both, and though he is going solo, each song feels like a hand reaching out to someone. Each "we" and "you" have a gravity not found in more cheery music. Combining two souls into one unit is the dream that percolates throughout the album. There is an aspect of existential dread that looms over Dream Songs like a dark cloud or omen. The album initiates with that confrontation with fate, with Welsh singing, "Things more powerful than you control the actions in your life." It is this unsettling line that shakes one's perspective of living. Can one feel genuine happiness for a dreamy moment when they know it has been manufactured to be that way already? It is not a new query, yet there is a torrential weight when it comes from Welsh's voice. Combined with the dulled strings of instruments that feel ancient, this and other tracks reach out to memories rather than the future. It is mostly Welsh's articulation that impacts. His vocalizing is not smooth, with a sense of impreciseness to his calls. There is a contrast in his songs, such as when his lyrics clash with his volume. It is difficult to believe a lyric like "sometimes you're on my mind" while he sings with intensity. His words fall apart, and that "sometimes" is a lie, which is why "Vision" shows realism that displays Welsh as someone who is as conflicted by love as most people around him. "Dreams Have Pushed You Around" shares that sense of personality. Audiences are treated to a song about a dreamless person watching someone with plenty of aspirations suffer. Both people are in pain in the relationship because of disregard and hope. "Vampires" furthers that pain with the bittersweet notion of goodbye: "Finish the liquor we'll chase with the moonlight / This is our shot / Let's not blow it with stage fright / This time we need to say goodbye." Even when fate is in the equation, Welsh acknowledges how one wants to stretch time by any means. He does not drink the liquor for typical liquid courage, but to see if this high will get him more time. Though you can find that in the emotional plunge of "Over the Sky" and the sense of abandon on "Summer's End", "Vampires" shatters with a moment that feels so real. It brings to mind Joel and Clementine's final scene in Eternal Sunshine of the Spotless Mind. It is the goodbye with which we can relate. With Devon Welsh performing solo, we receive the depth of his introspections as if they were cannonballs. With Majical Cloudz, there is a sense of groove to the electronic notes that bring their own layer. Despite the melancholic songs, you can still feel your brain on an autopilot mode because of how poppy a song can get. It is the gravity of the words and mood that became more highlighted when loneliness actually means loneliness.